Bogus claims about the risk of statins – the group of medicines that are said to fight cholesterol – may have resulted in tens of thousands of deaths, researchers have said, after a study found the drugs do not cause the claimed side effects that have deterred many from using them. Large studies have used randomised and blinded clinical trial data from tens of thousands of patients to demonstrate that statins are safe and effective. Such data have shown the incidence of side effects to be at similar levels whether patients are taking a statin or a placebo. However, outside of the clinical trial context, it is estimated that as many as one fifth of patients may stop taking or refuse the drug due to reported side effects – which include muscle pain, cataracts, memory loss, erectile dysfunction and disrupted sleep. In a new study, published today in The Lancet medical journal, a team led by researchers at Imperial College London has shown that patients report more side effects when they know they are taking the drug than when they are not told whether they are taking a statin or a dummy pill. There have been widespread reports linking the cholesterol-lowering drugs with a range of side effects, based on observational studies where patients were not ‘blinded’ as to whether or not they were taking a statin or a placebo. The researchers believe these studies may be influencing patients to link some of their symptoms to statins. Just as some people taking a placebo may experience real benefits by thinking they are taking an effective treatment, negative associations with a treatment could have the opposite effect, called the ‘nocebo’ effect. The team did not directly explore whether or not a correlation exists between media reporting and individuals’ reporting of side effects. However, they believe that it is highly plausible that publicity around studies that have overstated the side effects of statins may cause physicians to prescribe them less and some patients to stop taking them altogether, which could leave them at greater risk of cardiovascular disease and death. The team analysed data from a large randomised clinical trial which looked at lowering cholesterol in more than 10,000 patients in the UK, Ireland and the Nordic regions – called the ASCOT study. During the three-year study, patients were randomly chosen to receive either a statin or a placebo, but were not told which they were taking. Once the trial had concluded, patients continued to be monitored for a further two years as part of a follow up. During this time they were able to take the drugs if they wished, but they knew whether they were taking a statin or not. What’s more, the researchers say they were able to rule out the possibility that any effect was linked to the duration for which patients took statins. 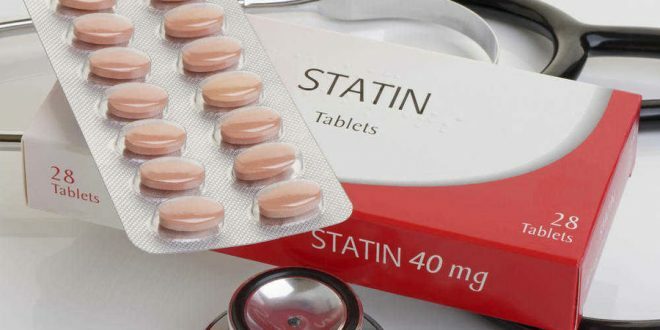 The researchers suggest that an increase in reports overstating the risks of statins could be reducing the number of patients taking them, potentially increasing their risk of heart attack and stroke in the long term by removing the preventative effect of the drugs. Data from the latest study have already been submitted to a national working group carrying out an independent review into the safety of statins for the prevention of cardiovascular disease. The researchers say they hope it will persuade physicians and patients that the concerns about statins are not supported by the available scientific evidence. Professor Sever added: “There are increasing numbers of patients and physicians who are worried about these supposed side effects of statins. There are patients refusing to take statins, GPs not prescribing them, and patients on statins who are stopping taking them. The research was funded by an unrestricted grant from Pfizer. ‘Adverse events associated with unblinded, but not with blinded, statin therapy in the Anglo-Scandinavian Cardiac Outcomes Trial—Lipid-Lowering Arm (ASCOT-LLA): a randomised double-blind placebo-controlled trial and its non-randomised non-blind extension phase’ by Gupta A et al. is published in The Lancet.